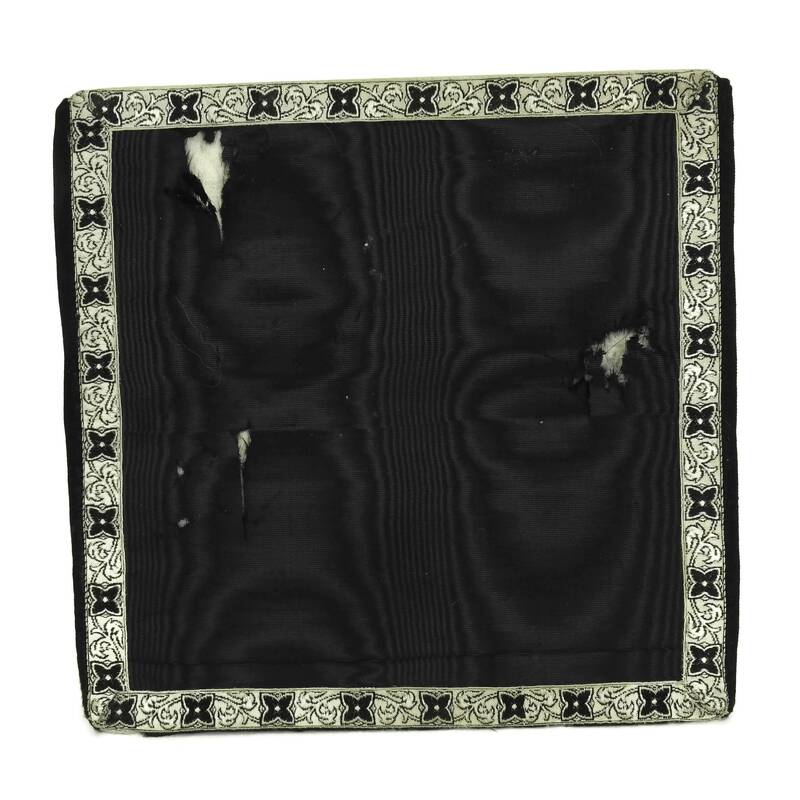 A beautiful antique black silk chalice cover dating to the late 1800s. 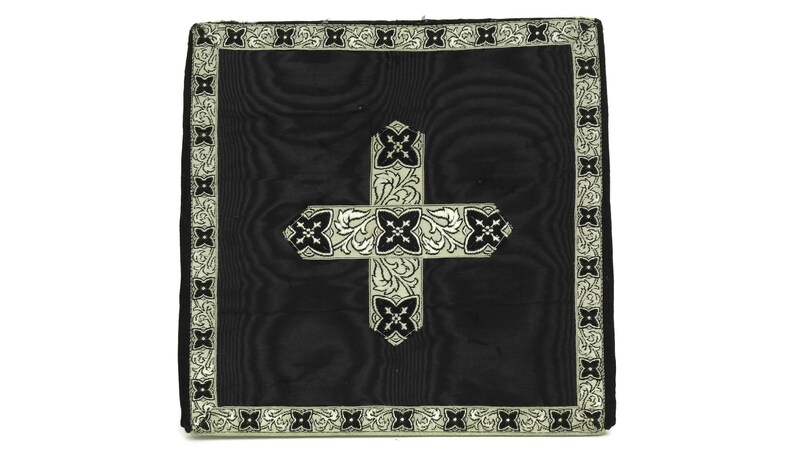 It has been decorated with an embroidered ribbon cross and decorative border. 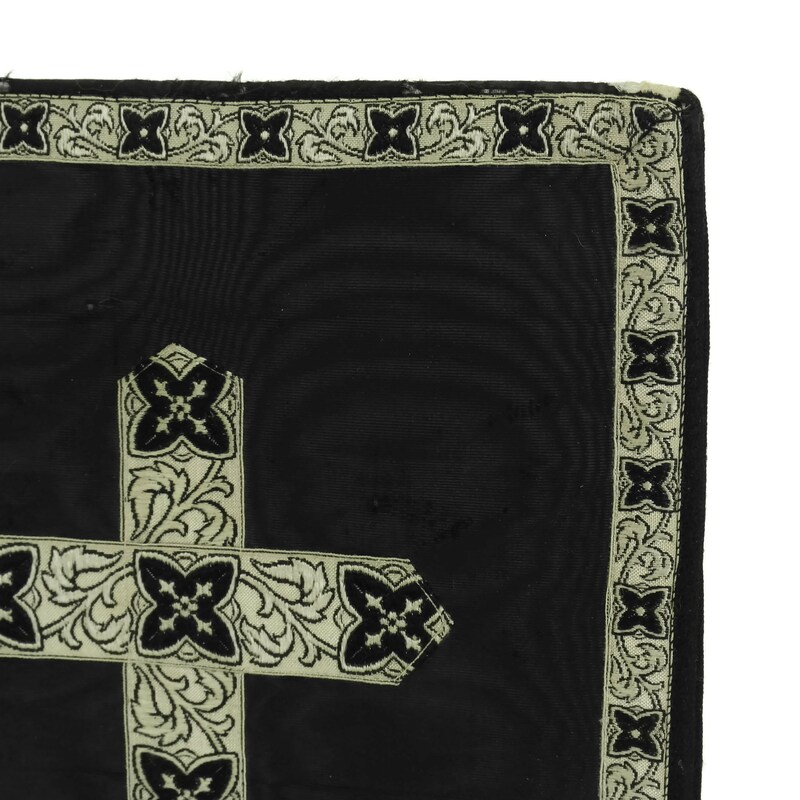 The cover was originally used in a French Catholic church during the celebration of mass. 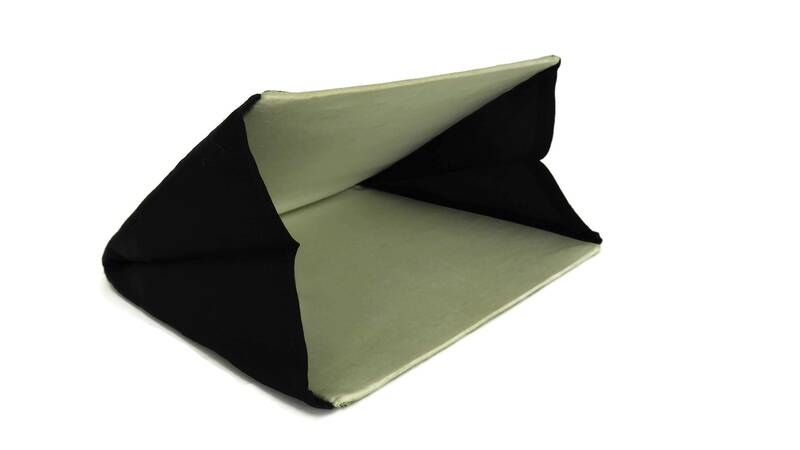 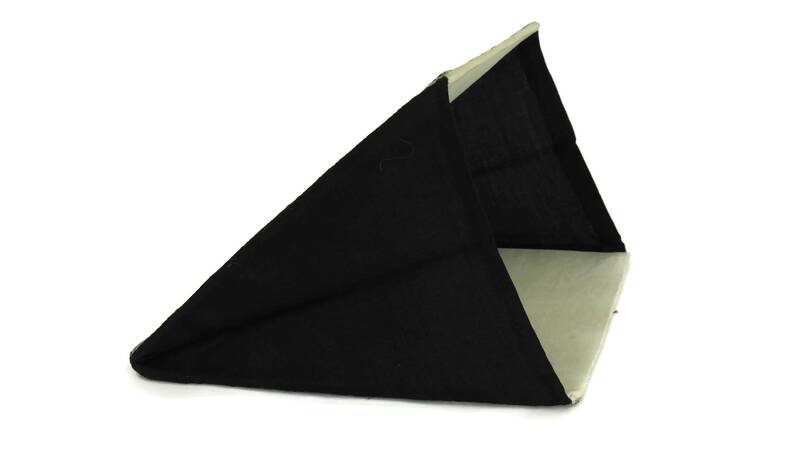 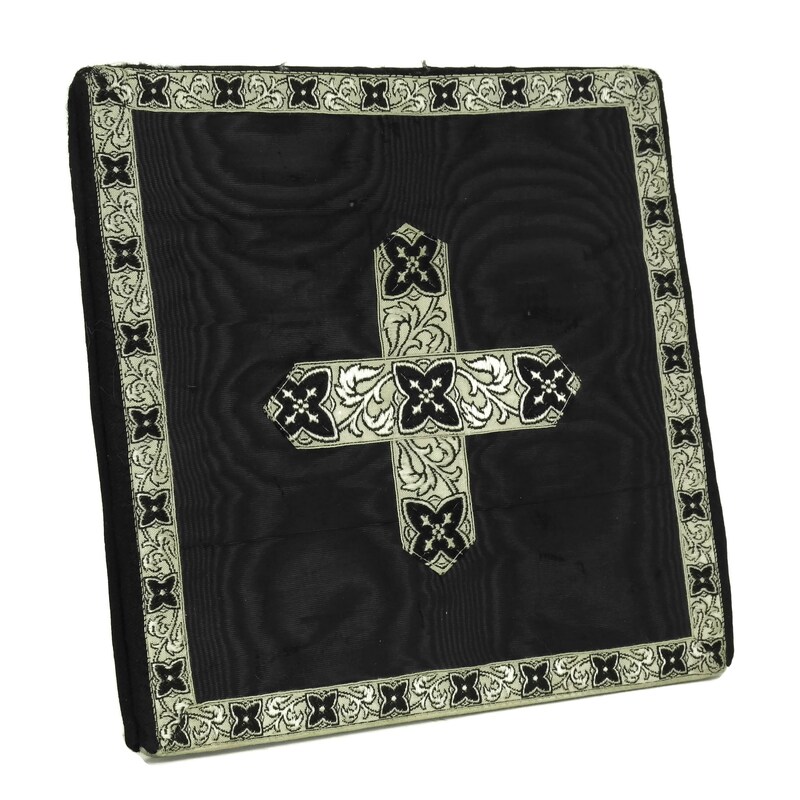 It has been hand crafted with moire silk and features an opening with gusseted sides. 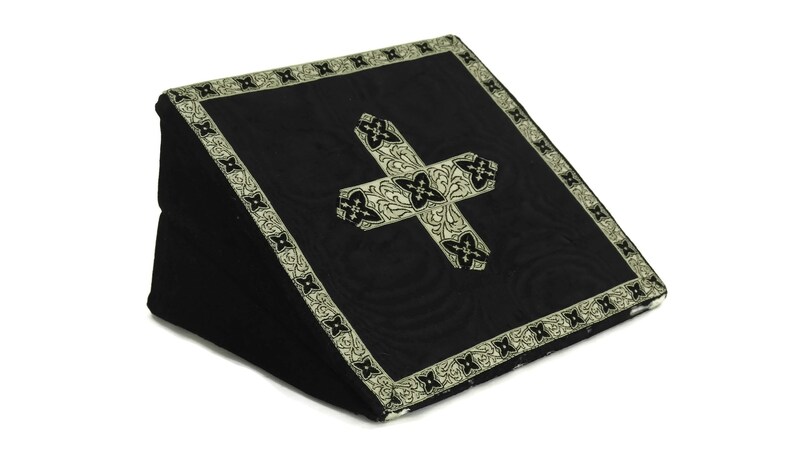 The interior of the chalice cover is lined with 2 squares of rigid card. 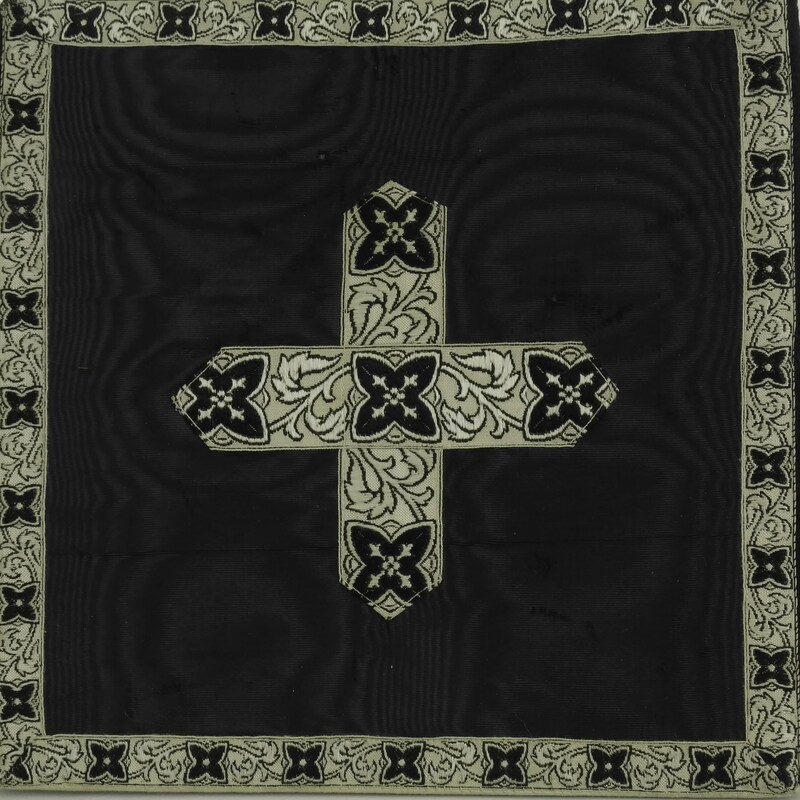 (20 cm x 20 cm). 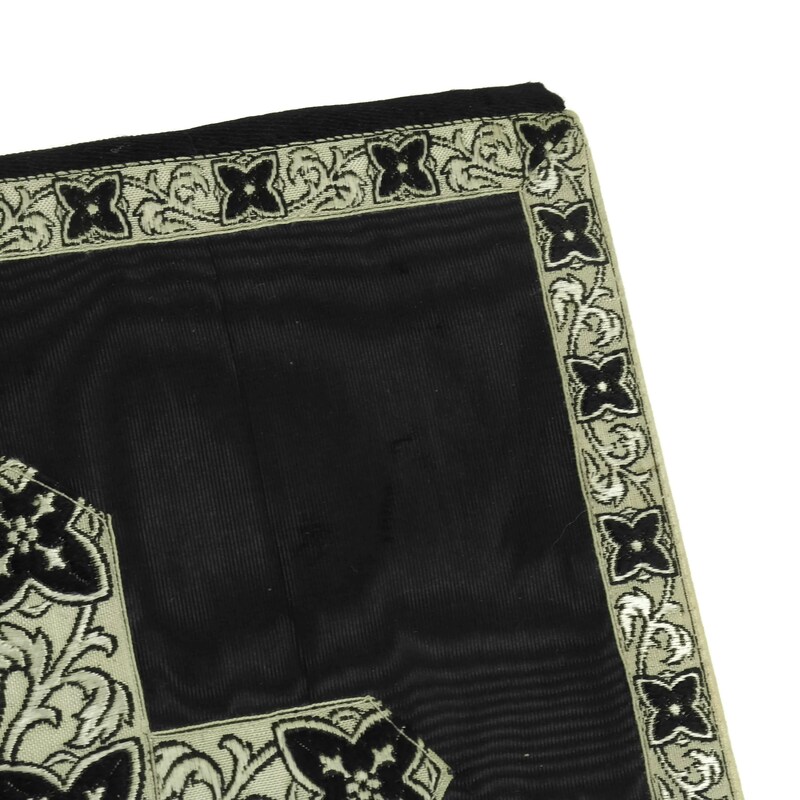 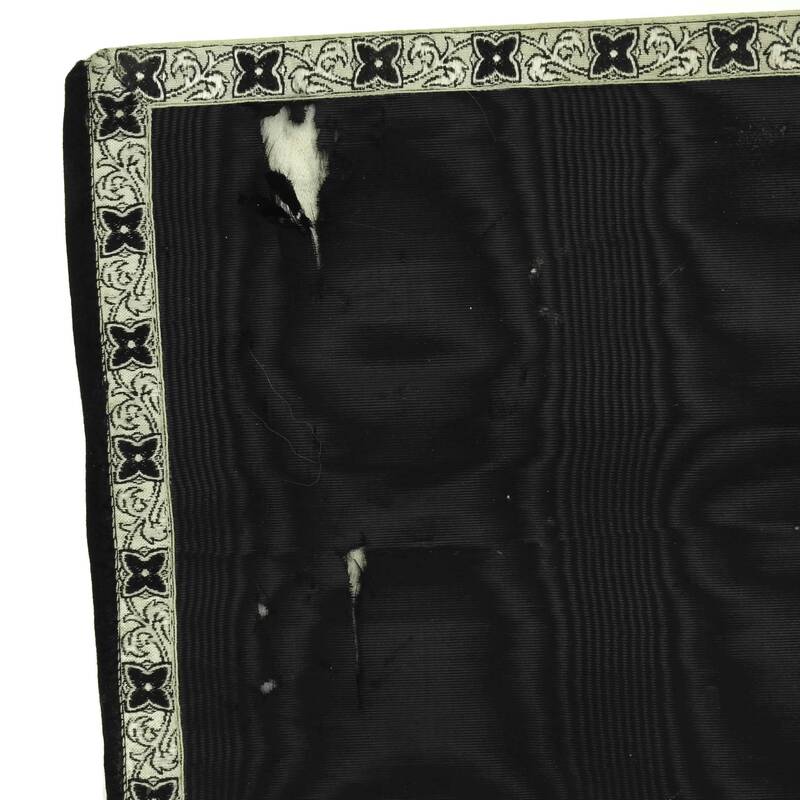 The black silk gothic cover is in good antique condition with some signs of age and wear including small tears to the fabric on the covers and small holes on the edges.